Our Services include Custom Seed Cleaning, Contract Seed Multiplication, Blending, and Breeder and Foundation Seed Increase. 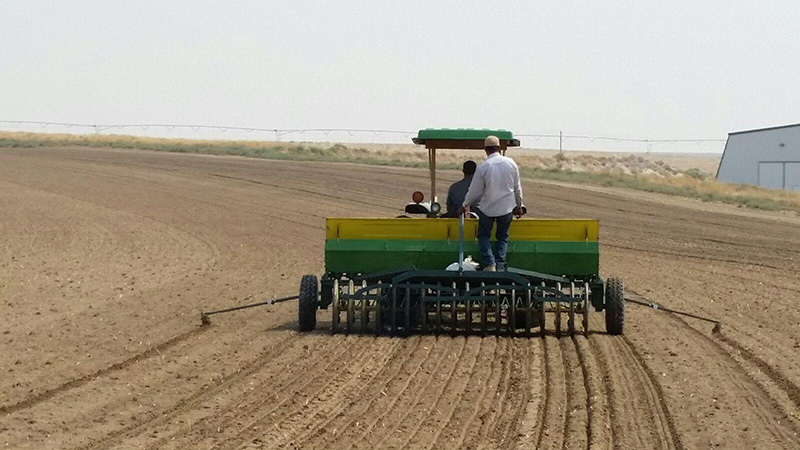 Columbia River Seed conducts extensive evaluation for new Kentucky bluegrass cultivars. We are always seeking new partners to market those varieties, both domestic and international. Columbia River Seed offers custom seed cleaning in all cool season turf species. Kentucky bluegrass, perennial ryegrass, fine fescues, tall fescue, radishes, mustards, peas, and other vegetable species are all welcome for your custom seed processing. Columbia River Seed has a line dedicated to small seed (e.g. Kentucky bluegrass) and a line dedicated to long seeds (e.g. perennial ryegrass). We also have two small lines that are dedicated to seed stock processing and specialty seeds. We are centrally located in the lower Columbia Basin, with good access to I-82 for convenient receiving and shipping. We are competitively priced and take pride in stewardship of your seed. We are set up to receive your bulk seed in belt trailers or converted 28ft pup trailers. We look forward to serving you. Columbia River Seed works with multiple companies and Columbia Basin growers to propagate proprietary cool season grass species. Although our focus and specialty is Kentucky bluegrass, we also contract perennial ryegrass (both turf and forage), fine fescues (hard, creeper, and sheep’s), radishes, mustard, peas, and other vegetable species. 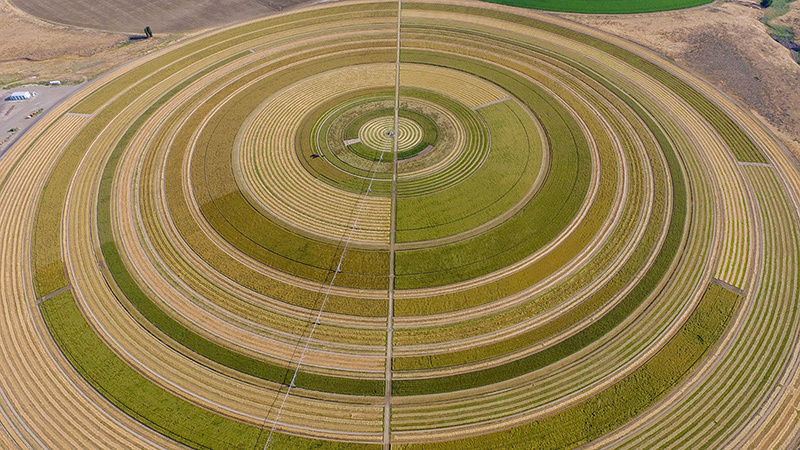 The Columbia Basin possesses an ample crop rotation providing us access to high quality center pivot irrigated seed production. 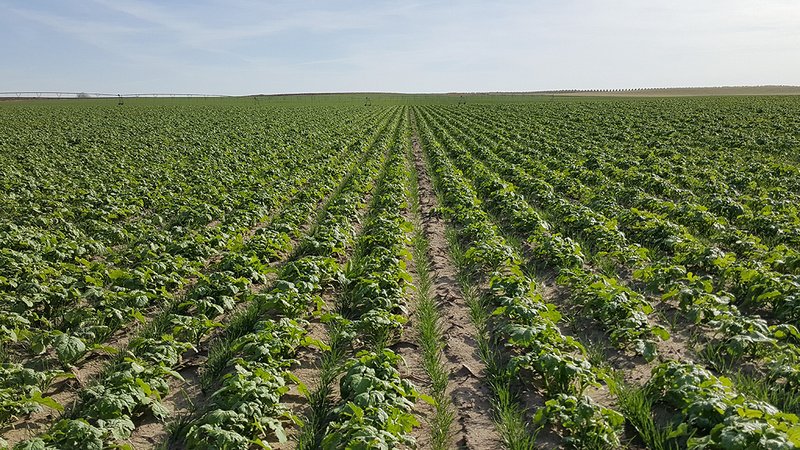 Columbia River Seed closely works with our production fields and is able to provide a high level of information and access to your production fields. The geographical area we primarily work with is the lower Columbia Basin, which encompasses both North Eastern Oregon and South Eastern Washington. Our climate and cultural practices facilitate fall planting of cool season grasses and a full harvest the following June. Our Washington production 46° latitude and Oregon production 45°50” latitude, day lengths (almost 16 hours at the longest), average growing degree days (Western Regional Climate Center www.wrcc.dri.edu) and available water makes our region ideal for seed production. Columbia River Seed has made a large commitment to our industry and ourselves with the Seed Stock program we have developed. Multiplication of breeder, foundation and registered seed of multiple species is our focus. We strive to give our industry and our growers the best mechanical and genetically pure seed available. The CRS seed stock program first harvested seed in 2004 by Tyler Sorenson. Tyler raised our 2005, 2006 and 2007 crops as well. Tyler left us shortly thereafter to go to Brazil. Jory Iverson took over the program in 2008. He has continued the high level of performance of our program and has increased the size and scope of our seed increases. We contract with companies to propagate their genetic material as well as propagate our own varieties. Space and availability is limited each year, so planning your needs is important. We fall plant all of our seed crops and harvest them the following June. Most are grown on an annual basis; we try where possible to keep plantings two seasons; however it has not been the norm. We have the ability to propagate Kentucky bluegrass, hard fescue, sheep’s fescue, perennial ryegrass, and some reclamation species. Our focus is breeder seed and registered seed production. 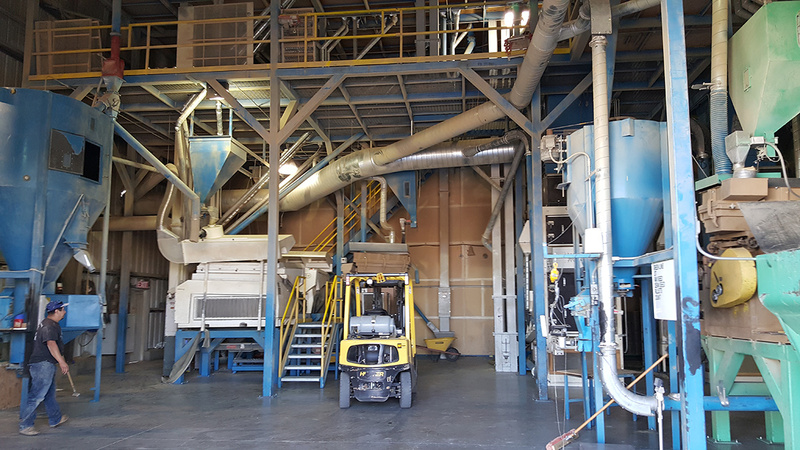 Foundation seed production can be done on a limited basis, however isolation requirements have been cost prohibitive in our production scheme. We try to keep minimum plot size to one acre. There are situations where smaller plots can be incorporated. We here at CRS feel that high quality seed stock is imperative for our industry. Seed stock is expensive to raise, harvest, process and buy. However, the cost of not having high quality starting product is at times immeasurable. This is the reason we have made the long term commitment to provide this service to ourselves, our customers, and our industry. For information on production with our seed stock program please feel free to contact us.